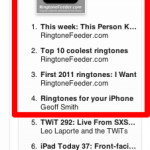 This is quite amazing – thanks for your interest and support we will continue to produce the best ringtones we can. 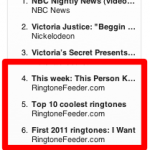 This entry was posted on Monday, March 21st, 2011 at 16:11	by Administrator and is filed under News. You can follow any responses to this entry through the RSS 2.0 feed.